OXO Good Grips Professional Knives feature the perfect balance of professional-quality cutting and soft, comfortable grips. 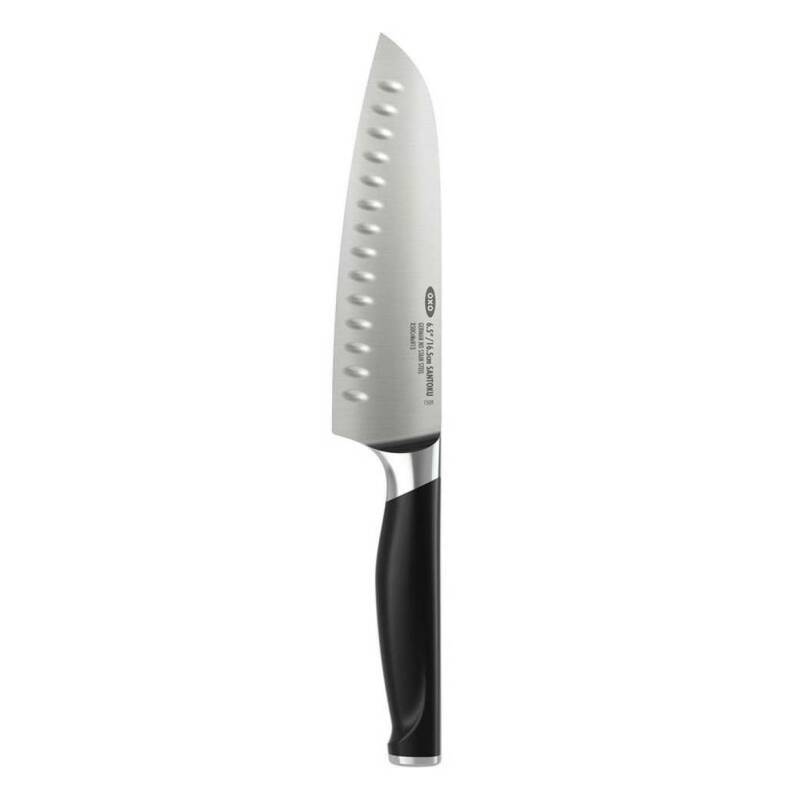 Sharp, stainless steel blades are hardened for strength, and the blades are full-tang for durability and proper balance. Soft, non-slip handles cushion your hands and provide a safe, secure grip.